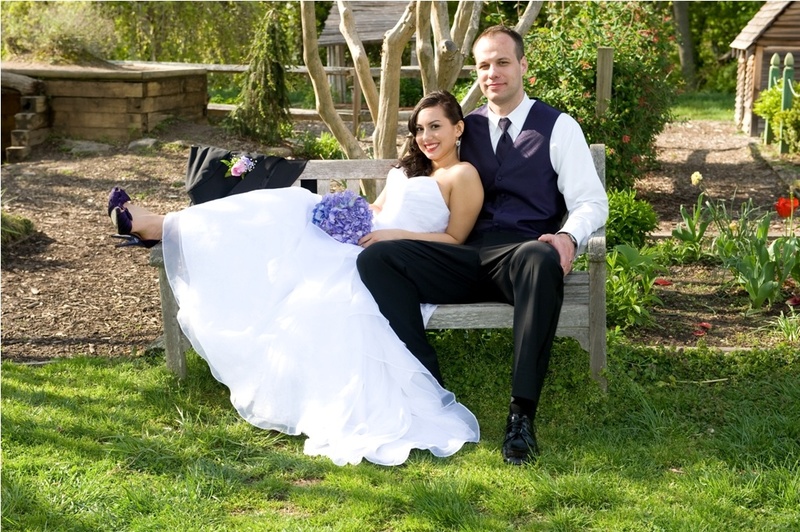 When we received photos from Lauren and Jakub, we could instantly feel the excitement they had in celebrating the union of two very different cultures. Married in Alexandria, VA, the ceremony and reception took place at George Washington's River Farm. Working with the lovely venue was Lauren's favorite part of planning the wedding. It was only the second place that they visited, but they were immediately won over by the peaceful landscape and historical feel. 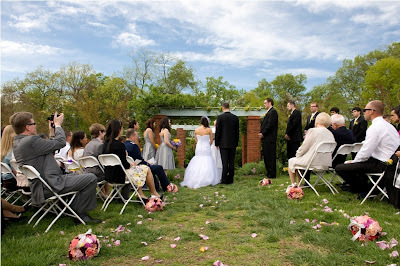 The weather held up despite potential forecast of rain, and they enjoyed a beautiful outdoor wedding. Since Lauren is a Filipino-American from Hawaii and Jakub is from Poland, they had readings in Polish and English. Lauren's bridesmaids wore a mix of different Alfred Sung styles in the color Quarry. 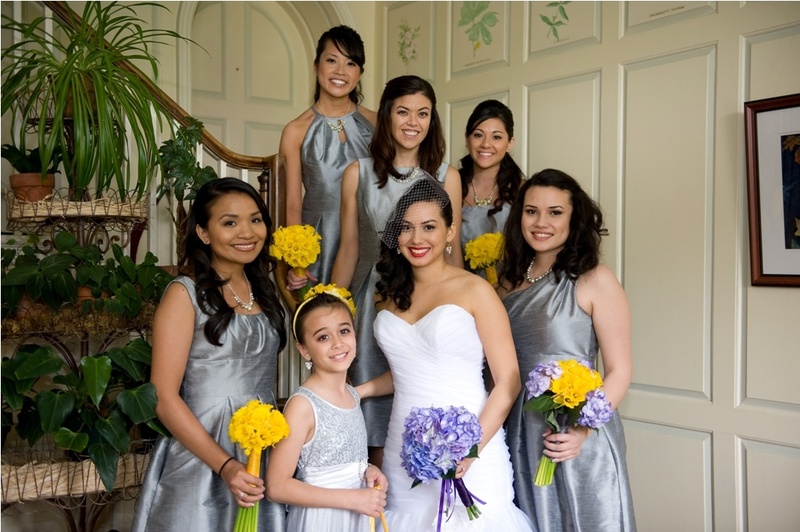 Grey and yellow continues to be a very popular color palette for weddings, and Lauren added in a pop of blue with her hydrangea bouquet. Since the groomsmen were very tall, Lauren and her sister thought it would be a cute idea to have the guys carry the girls into the reception. "It was a great time and everyone enjoyed it! 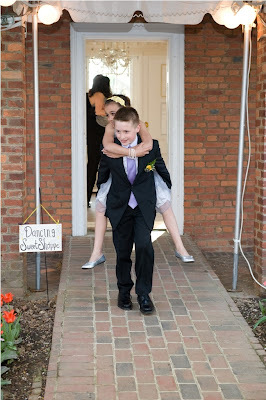 The cutest moment was when the ring bearer piggy backed the flower girl!" 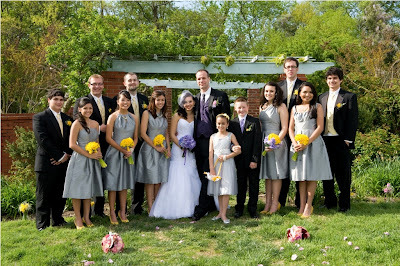 Lauren and Jakub's family and friends came from all over the US including Hawaii, as well as England, Poland and Germany. 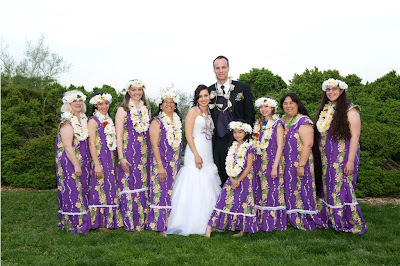 Their first dance included the "Filipino money dance", where the crowd comes in and places bills on each other and it has to be picked up with the bride or groom's mouth. 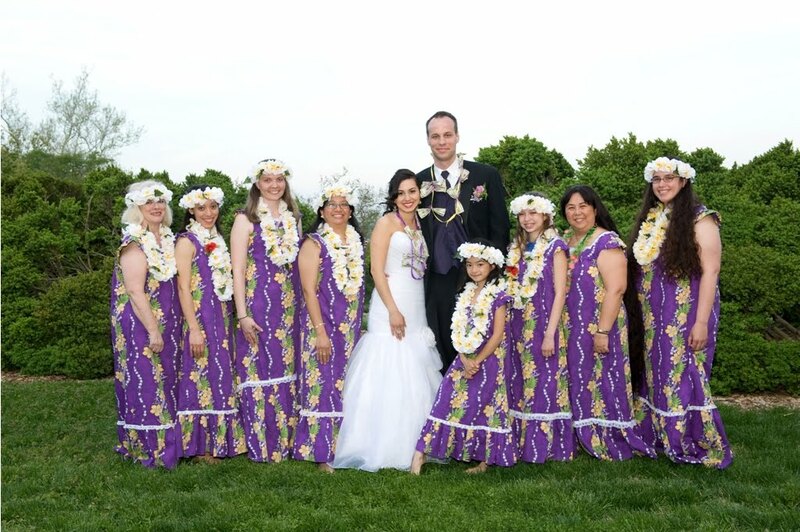 Lauren's mother surprised them by dancing the hula along with her hula group. 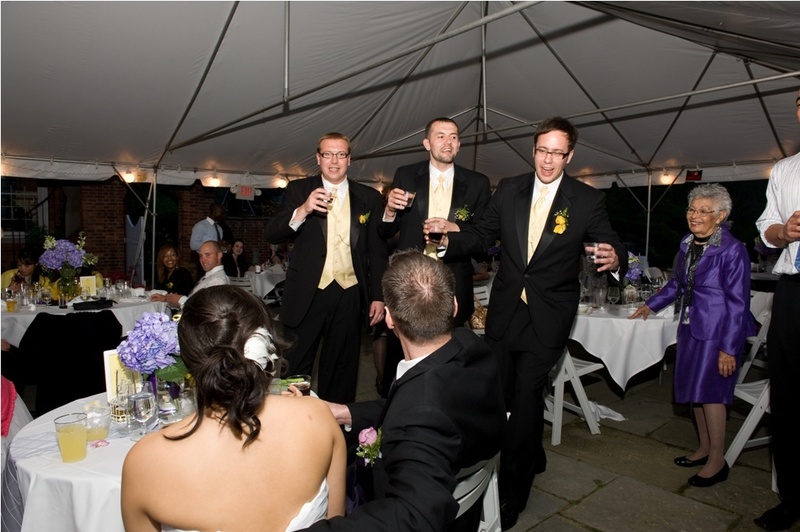 Also, a few groomsmen from Poland surprised them with Polish singing traditions throughout dinner, singing louder and louder to get them to kiss! 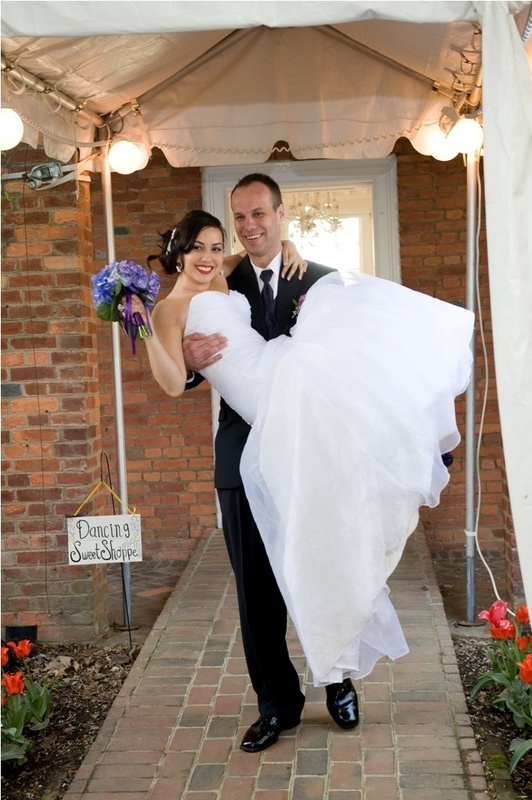 Congratulations Lauren and Jakub! May you continue to celebrate your very different backgrounds and cultures as you build a joyful life as one.